Now that the worst of the recession is behind us, many people are thinking about selling their property in order to move up the property ladder, or about moving into the buy-to-let market. 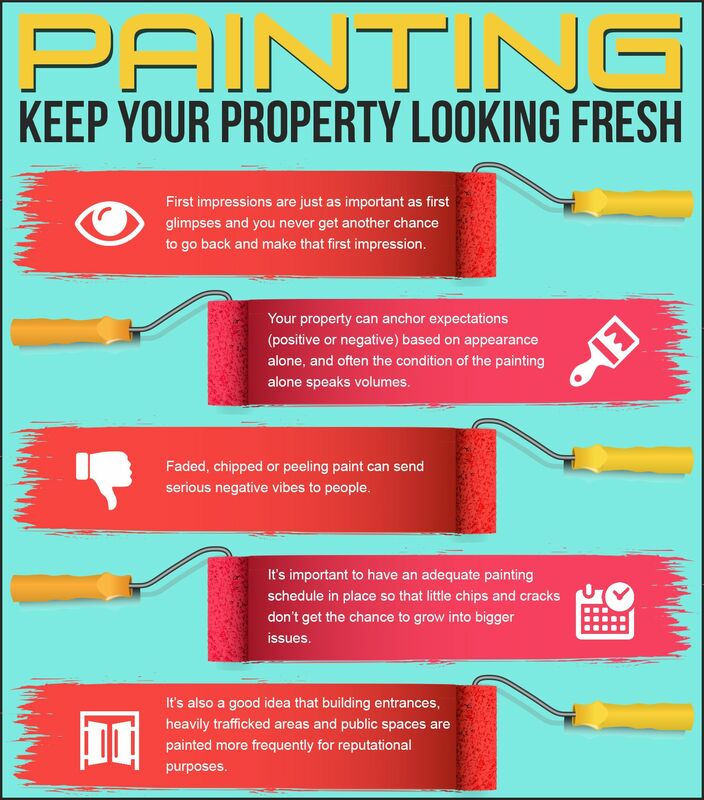 Many forget that a little effort spent on upgrading the property’s appearance to give a great first impression can translate into a higher asking price or higher rental yields. Recent research has shown that buyers expect to pay as much as 23% more for a property that is freshly painted, so a repaint is a great way to get the most for your house. Hamilton King is a specialist property maintenance company with many years of experience in managing properties of all shapes and sizes, and in this article they offer their advice on how to improve your property and increase its value with a simple tin or two of paint. The outside of your house is the first thing that any prospective buyer or tenant will see, and if they don’t like the outside, they might drive straight past and never get as far as looking inside. If your property is rendered, chipped, stained or peeling paint does not give a good first impression. Consider repainting to give a smart, cared-for impression, but bear in mind that the most popular colour with home buyers is cream or white. Avoid turning people off by going for anything too extreme! Think about the front door as well – if it’s painted, could it do with some attention? If you decide to repaint it, removing the door furniture (letter box, door knocker, door number) in order to do a really professional job, it might be worth spending just a few extra pounds to replace the door furniture with new items. Check your window sills as well – if they’re wooden, perhaps they could do with painting. And if you’re going to go to the trouble of repainting, why not give the garden a quick tidy at the same time? Continue your good work by refreshing the inside of the house as well. If you don’t have the time or money to repaint the whole house, try to think where your time and money could be best spent. For example, if your house has a hallway which is need of attention, this could be a good place to start, to continue the good impression given by the outside of the house. Other high traffic rooms such as bathrooms, kitchens and living rooms should be next on the list of priorities. If the property has been divided into flats and there are communal areas such as a hallway or landing, repainting these should be a priority to avoid giving an air of neglect. It is tempting to choose colours according to your own personal taste, but to maximise your sale price or rental income, think about the people who will be viewing the house. Their taste might not be the same as yours, and they might be put off by strong colours. Your aim is to depersonalise the property, and with this in mind, it is best to choose neutral, light colours. Not only will they be inoffensive to most viewers but they will also make the rooms seem large, bright and airy. However, it is often a good idea to avoid stark white as it can make rooms feel sterile and not homely. Once you’ve chosen your colours, spend a few minutes working out how much paint you need. It really doesn’t take long to do, and will avoid you wasting money on buying a bigger tin than you need or save the bother of having to return to the store to buy more when you’re half way through the job. Firstly, measure the height and width of each wall that you plan to paint. Multiply the height by the width to get an answer in square metres. Subtract the area taken up by doors and windows using the same method. Think about how many coats you need – for example, if it’s two, multiply the final figure by two. Round up slightly to give an extra margin. Take your calculator with you to the store and look on the paint tin for the m2/l figure. Divide your wall measurement figure by the m2/l figure to give how many tins you need. It is essential to take a little extra time to prepare your surfaces properly – good preparation is key to getting a good finish. Either clear the room of furniture or collect it in the middle of the room and cover it with dust sheets. Place protective plastic sheeting on the floor and remove fixtures, curtains, light switches and plug sockets. Use masking tape and newspaper to protect anything that you don’t want to get paint on. Paint doesn’t stick well to dirt or damaged areas, so wipe down the walls with mild detergent and water and allow to dry. If walls are damaged, repair them with filler using a putty knife and sand with fine grit sandpaper when dry. Then it’s time to get painting… Keep in mind that just a few mornings of work could get you your 23% uplift!